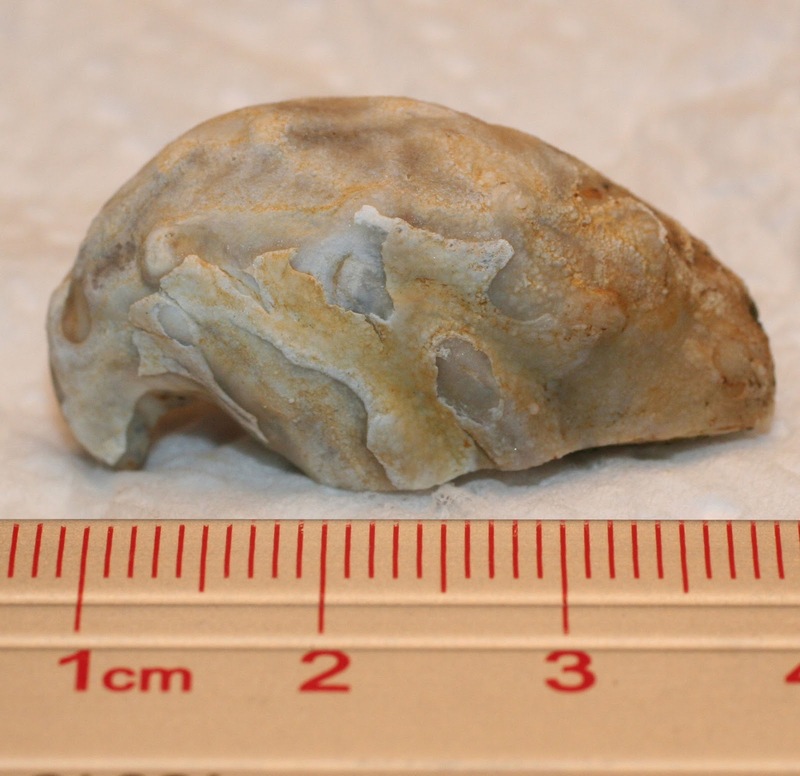 My first spiny snail fossil find in the Devonian Period Jeffersonville Limestone of Jefferson County, Kentucky. 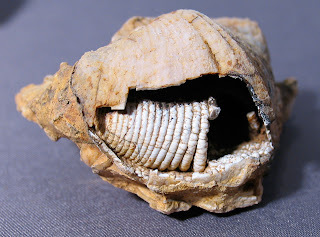 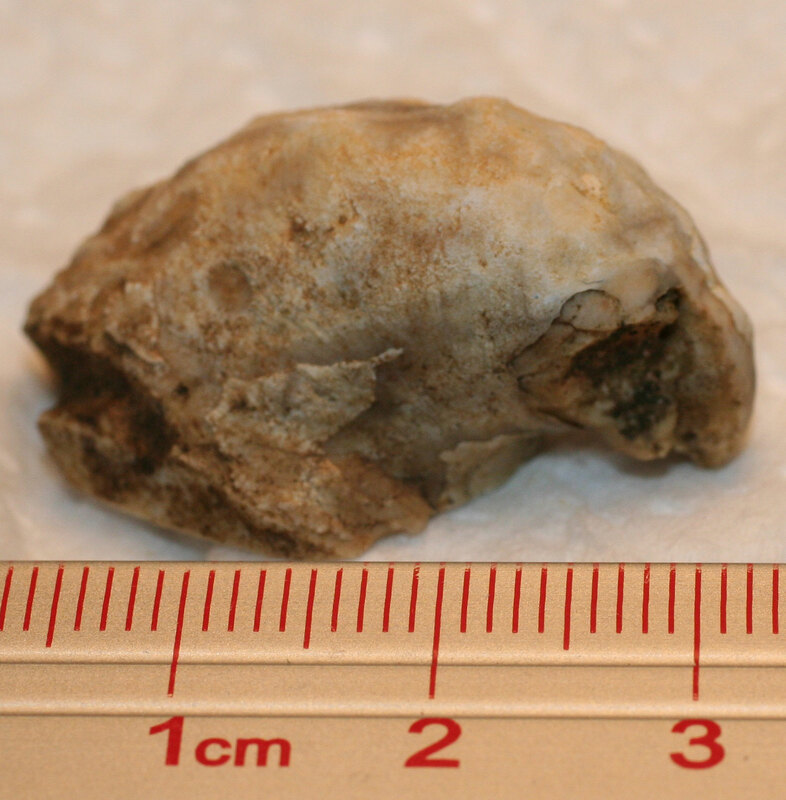 The fossil could be a Platyceras dumosum? 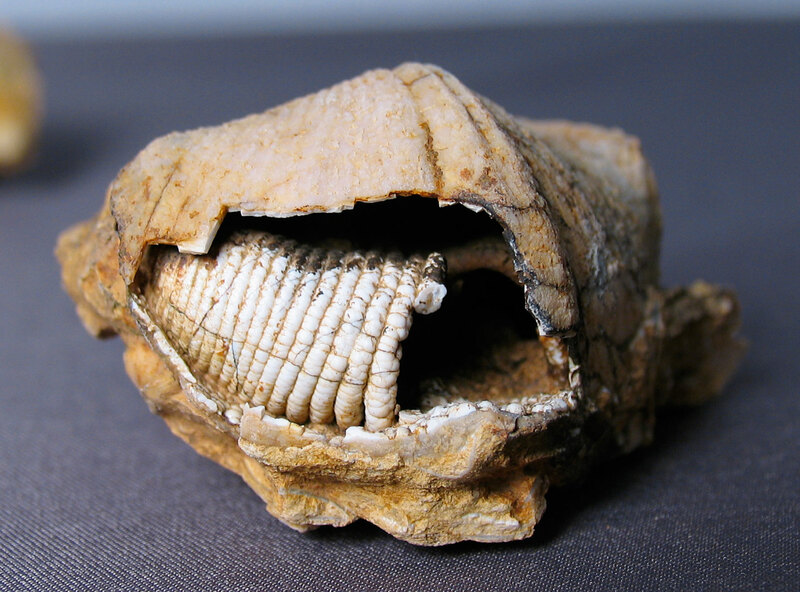 It is somewhat weathered but some of the bumps can be made out where spines once existed. Next image is from the book Kentucky Fossil Shells - A Monograph of the Fossil Shells of the Silurian and Devonian Rocks of Kentucky by Henry Nettelroth, 1889, Frankfort, Kentucky, Kentucky Geological Survey, Plate XXIII, Figure 2 of the Platyceras dumosum. An Orthostrophia fornacula? 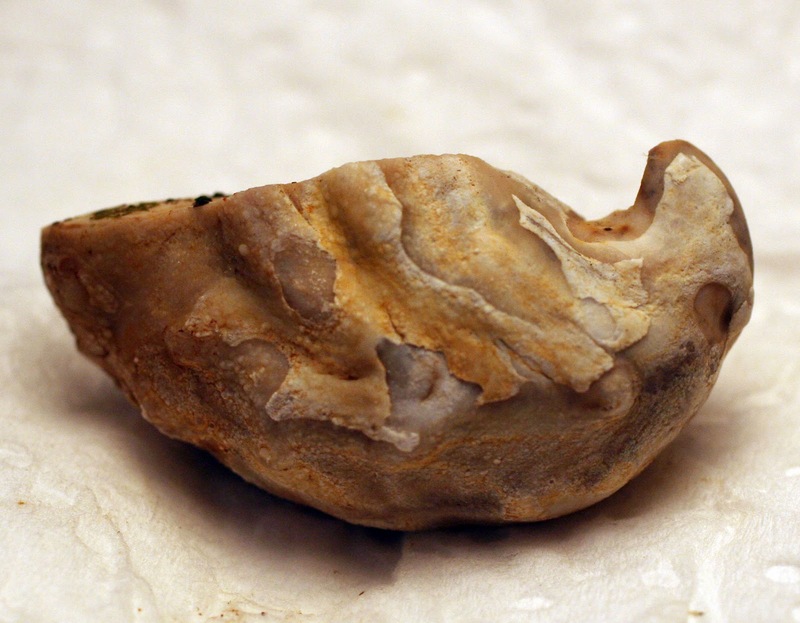 brachiopod named by paleontologist James Hall of New York. 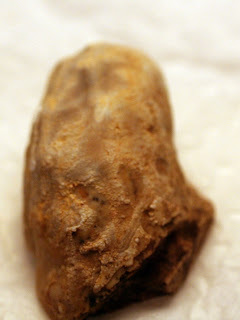 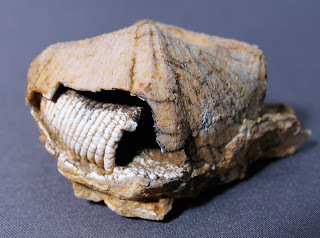 Fossil found in the Jeffersonville Limestone of Clark County, Indiana. 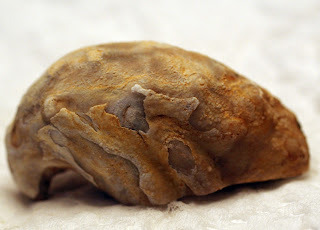 Specimen dates to the Middle Devonian Period. 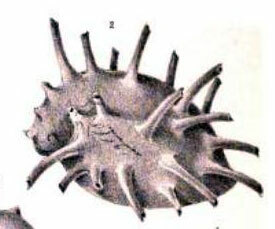 The white coiled tube visible in images is the lophophore. Fossil is 4.6 cm long, 3.8 wide, and 3.2 cm tall. 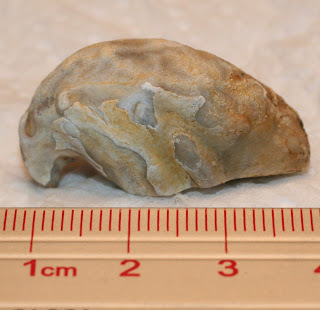 Weight is 37.7 g.
Learn more about the area's brachiopods from this Indiana State Parks document.